I finally got the Sakura shrimp to reproduce. After a long battle (I could not understand why my Sakura shrimps kept dying) I finally saw the light. No matter what I have tried, they always died. Not “en masse” but 1 each week, maybe even sooner. They were dying just before shedding, and a yellow crack was visible behind the head and then the next I usually found them dead. Although a lot of forums discuss the issue of Sakura shrimp dying, a lot of advice is meant for the beginners and the usual “faux pas”. No copper, check nitrates, check predators, etc. None of these applied to my setup. 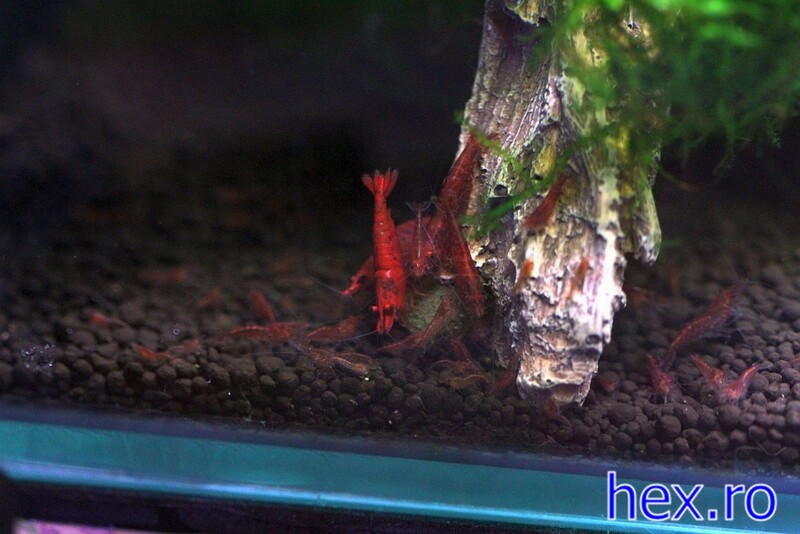 It is also believed that Sakura shrimp are just “hand picked” red cherry shrimps (RCS / Neocaridina denticulata sinensi) – so other people comment that they don’t do anything special and their shrimp reproduce like crazy. However I am not a beginner; I keep planted aquariums for years now and thus encountering beginner advice was a bit of a let down; it seemed I was on my own devices trying to figure the stuff out. I initially kept my shrimps in tap water, and in two different aquariums. They kept dying on a similar pattern. I had pressurized CO2, although the high kH still kept my pH around 7, and I was not adding any Copper based fertilizers. Since the pattern was the same, I decided to transform one of the aquariums to be shrimp only – only moss, fine gravel and no CO2 / fertilizers, reduced light and some floating plants for even better shade. Special shrimp food and substances to absorb the nitrate. Nitrate was almost undetectable. Still no luck. 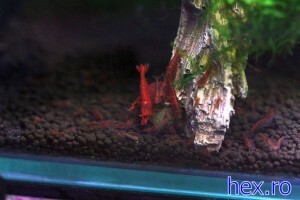 The other aquarium remained to be planted, and I already moved all the shrimps to the shrimp only one. I started to believe that it is the tap water that causes the issues (or maybe the water softener?) – thus I gave up using tap water, and switched to bottled water. No luck either although they weren’t dying that often one female was berried but I only found 2 babies. In desperation, I switched to RO water and using salts to bring the kH up to 6-7 and gH was around 9 which are the recommended RCS parameters. Still no luck. Somewhere in between all these steps, I have also changed the temperature, but had no impact. Ever few days I kept finding another dead one. There’s that quote of Sherlock Holmes ” … when you have eliminated the impossible, whatever remains, however improbable, must be the truth?” and believe me, I have tried to change / eliminate everything. I ran the aquarium without thermometer, changed plants, fed specific shrimp food, switched to fish food, nothing. 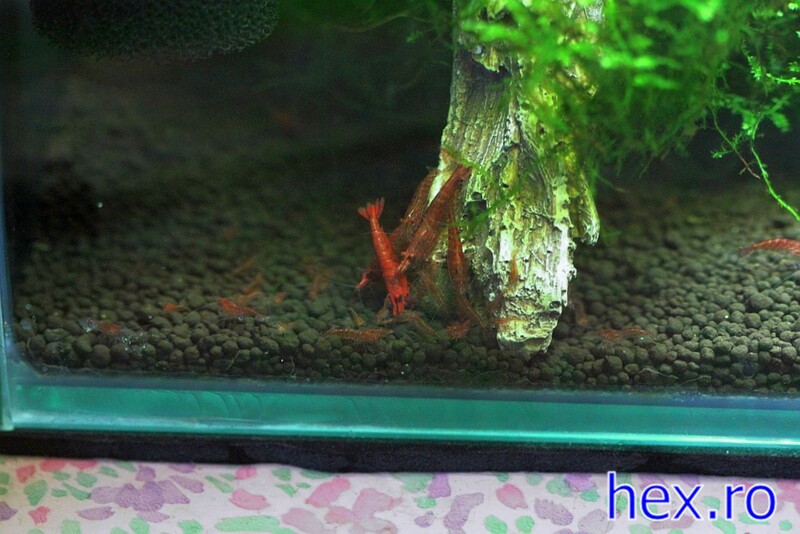 I guess my luck / understanding came when I decided to also buy few bee shrimp (Caridina cantonensis sp. “Bee”) which also exhibited the same pattern. On further checks online using the excellent http://www.shrimpkeeping.com/ website, I found out that the bees prefer kH between 0 and 2 and then … I had the epiphany. Sakuras maybe are not just hand picked RCS. In conclusion, if the Sakura shrimp keep dying / or they do not reproduce, please check your water and try to bring the kH down.